This year’s highly anticipated John Lewis Christmas advert has finally been released, focusing on Elton John and the gift of music. The ad is a marked change in tack for the retailer, who’s hugely successful Christmas ads have found repeat viewings online over the past seven years. The ads have tended to be fictional and fantastical stories that take a child’s eye view of the festive season. The new two-minute film takes viewers on a journey through the musicians career, while his famous track “Your Song” plays. Spanning from the 1950s when a young Elton John is gifted a piano by his family for Christmas, we see the singer performing in a local pub, playing a stadium show and singing on his tour plane. John Lewis has revealed a series of special window displays tied to its annual Christmas campaign, which stars Sir Elton John. 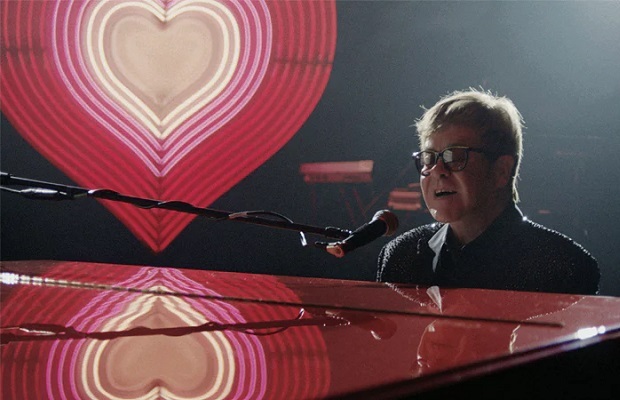 Each is based on a scene from the short film, which was released today and tells the story of how Elton John became the iconic musician he is today. The colourful windows present film stills alongside myriad props referencing key details in the ad, from disco balls to champagne flutes. A giant keyboard curves through them all in reference to the piano we see John play throughout the film. The ad has received mixed reaction from viewers so far. Tom Rouse, Creative Director, Hotwire, the global communications agency, said: ““A celebrity out of context does not make a good advertising campaign. John Lewis appear to have forgotten that rule, forgotten to come up with a heart-warming story, and forgotten why everyone loves their Christmas adverts in the first place. In short, they've produced something anyone could have produced. The pay off of a young John getting a piano doesn't make up for what otherwise feels like a music video and does nothing to earn our emotional investment in the first place. “I'm sad to say, but this is the first John Lewis ad I’m consigning to the bin after a single viewing. And, best of all a search on the John Lewis website returns 0 results for pianos”. Josh Krichefski, UK CEO at MediaCom, said: “The festive season is all about traditions and that used to only apply to things like Christmas carols, trees and turkey dinner. But clever adverts have also made their way into our Christmas traditions; John Lewis’ campaign is undoubtedly one of the most anticipated of the year, and no Christmas would seem complete without Coca Cola’s iconic truck turning up in towns across the country. “For retailers and brands, the traditional way of spreading their Christmas message was to turn to TV advertising. But while there is still a big part for traditional broadcast ads to play, the rise of digital media is quickly re-writing the playbook. In fact, the recent news that UK advertisers are expected to slash £44 million from their TV campaigns in the lead-up to Christmas shows that digital media platforms, like Google, Facebook and YouTube, are becoming an ever-more popular way to reach consumers. TV works well for big budget, high impact Christmas campaigns like John Lewis’, but for other brands looking to make a splash, digital platforms are clearly increasingly attractive.